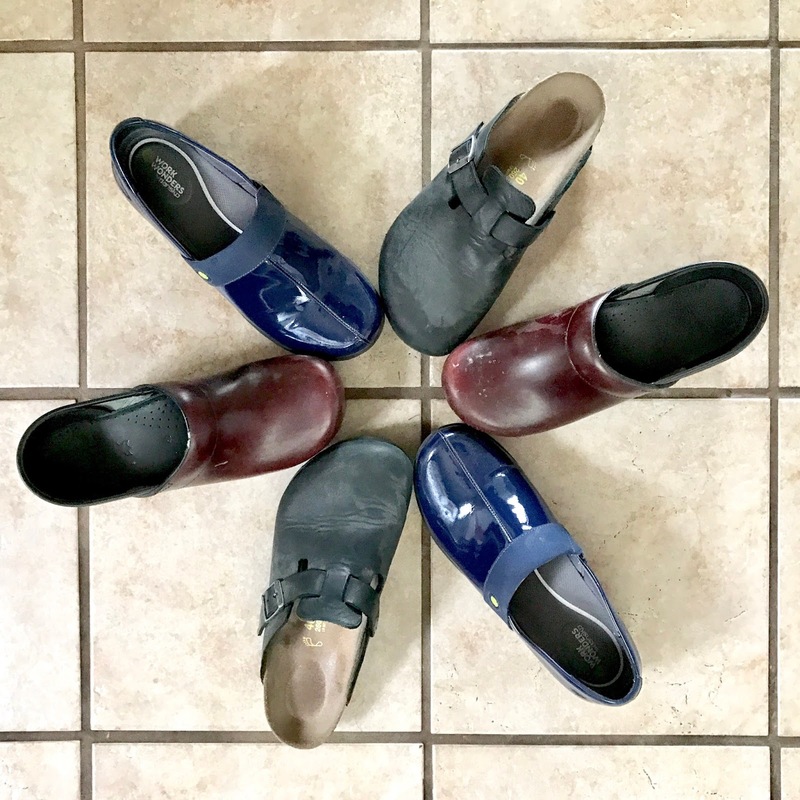 One of the questions I am asked the most is about finding comfortable shoes for clinical rotations. The problem is, that this is such a hard question to answer because 1. all of our feet are different and 2. we have different needs for various rotations. So I'm going to break it down into scrub shoes versus non-scrub shoes, and share what has worked for me so far! When I started medical school, I already down a pair of Danskos from my previous job in a pharmaceutical lab. I was only really wearing them for about two hours at the most during anatomy lab, and I really liked them. They made my back hurt less and I really liked that they could be easily wiped off - anatomy lab can get really messy! Then when I started clinical rotations, I wore them on my surgery rotation for 10-14 hours at a time, and noticed that I wasn't loving them as much anymore. I have pretty high arches, and while the original Dansko clogs helped with my lower back pain, my feet hurt so bad. I also found them really difficult to walk fast/run in them. My dad, an ER doctor, suggested trying out Birkenstock clogs instead. I already love my Birk sandals, so I figured the clogs may be a good option. For non-surgical rotations where I wore scrubs, these were amazing! The arch is more supportive and even after 12 hour days, my feet didn't hurt at all. There are several problems when it comes to surgical rotations though - they don't wipe off easily, you can't run in them, and the bootie covers are super annoying when in the OR. On an interview last fall, an ObGyn resident at MSU told me about the Work Wonders from Dansko, and how they basically are a combination of things that make them the best shoes ever for anyone going into surgical speciality: they wipe off, they have a back (so you can run in them and the bootie covers aren't on your ankle), and it has more arch support than the originals. I've been wearing them for the past month, and I'm obsessed! My feet never once hurt, just as promised! Here are my suggestions. If you are certain you aren't going to go into something surgical, you can probably get through your surgical rotations with normal tennis shoes. You don't have to spend $100 on shoes you'll never wear again if you plan on never setting foot in an OR after your few months of general surgery and ObGyn. If you are going to be spending a lot of time performing surgeries, or will work in a really messy field, some sort of plastic covered clog is a great option. Like I said, my high arches prefer the Work Wonders, but there are a ton of different brands out there that make your typical clog you see in the hospital. Go to a bigger shoe store and try on several brands to see what you like. You are going to be spending a lot of time on your feet, and don't want to be uncomfortable! Man, this one is pretty difficult to answer, because not one shoe is going to work for everyone! I wish there was (maybe that will be my million dollar invention!) because it would make answering this question a lot easier. Here's what I did. 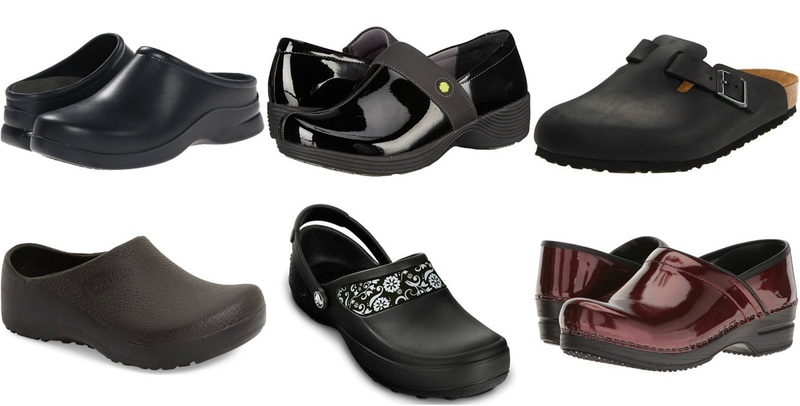 If I was on rotation where I sat most of the time (psychiatry, pathology, one of my family medicine rotations, MFM), I wore whatever shoes I wanted - wedges, pointed toed flats, ballet flats. For the rotations where I did spend a lot more time on my feet, I either wore an older pair of worn in ballet flats with in-soles added, or my pair of Clark shoes. These shoes are a great option because the tiny bit of wedge made my heels not feel like I was stomping my feet into the ground all the time, and they overall just provided a lot of cushioning. Here are my suggestions. Spend a bit more money on a neutral pair of flats. Typically, real leather will hold up better and be less uncomfortable. I stick with ballet flats and driving loafers, and pointed toed shoes when I know I won't be on my feet alllll day. Get a pair of insoles for every pair of shoes you wear - this makes a huge difference in how comfortable it is to stand in them. I went with this inexpensive pair from Target, and it's done wonders for how my feet feel at the end of the day! If you, like me, prefer not to wear those little baby socks in flats, I suggest getting a little container of baby powder to sprinkle into your shoes every morning - it helps to keep your feet from not sweating, and it buffers your skin from your shoes. Also buy a friction stick (usually in the aisle with the band aids) from when your shoe is hitting your skin the wrong way. I personally have always been interested in trying out something like Gekks to see if that helps with those issues too (I'd love to hear your feedback if you've tried them!). I wish I could give you a one size fits all answer here, but it really depends on what you have and what you need. I hope this helps, especially if you are just starting your clinical rotations (check out this post if you want a few more tips on dressing for clinicals! ).